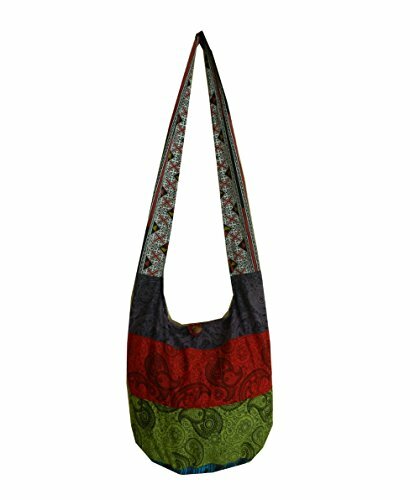 A universal Paisley pattern is featured in this hobo carryall made of durable but lightweight cotton fabric. We use left over fabric for this bag. Due to fabric cutting, there may be some variation to the colors and pattern layout.